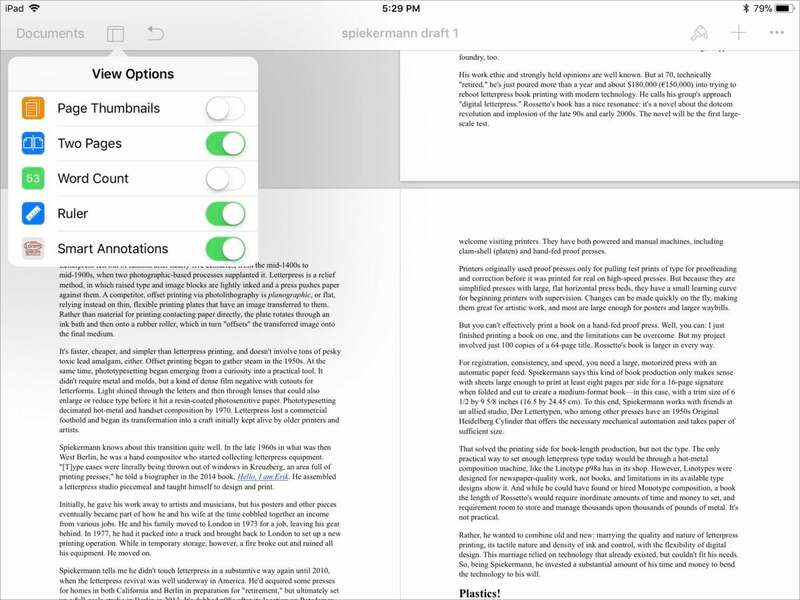 With new Pencil, annotation, book, and drawing support, Pages for iOS becomes a more comprehensive document tool. 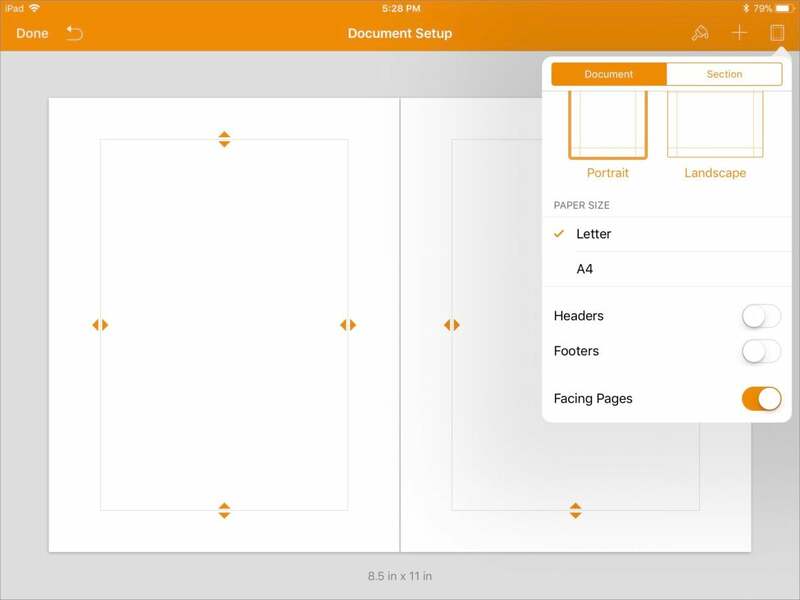 With Pages 4 for iOS, Apple shifts the app's focus from being a fancy word processor with modest page-layout tools, to something that’s substantially more. Even as the app broadens its range of tasks, Apple also improved existing ones that lagged or were incomplete. As a result, Pages is a stronger overall app, and it also offers greater coordination and parity with the new Pages for macOS. Pages 4 now comes with book templates for creating interactive ebooks, providing an end-to-end workflow instead of just an export option. These books can be nearly as richly capable and interactive (with a few exceptions) as those produced by iBooks Author. 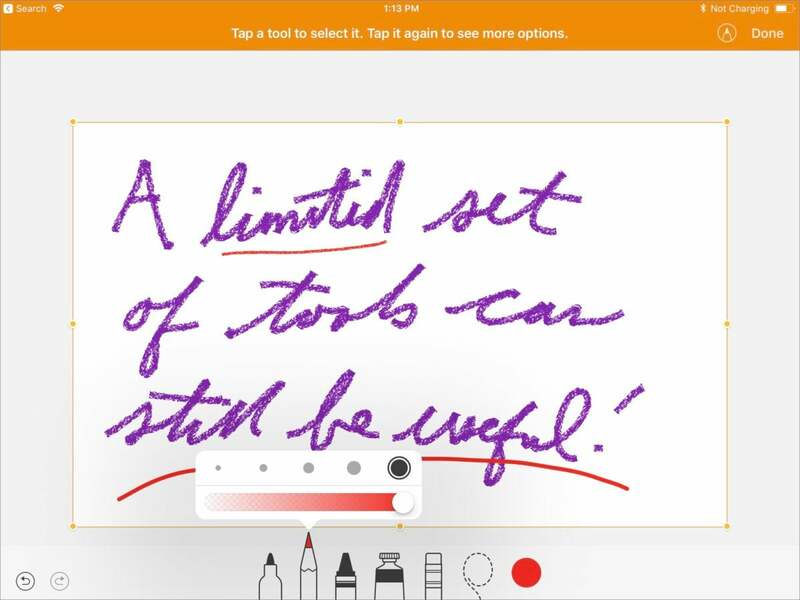 You can also now create drawings and use the Smart Annotation beta for graphical markup and highlighting with either an Apple Pencil or your finger. Additional document help comes from several directions. Pages allows a side-by-side page view, once present in the Mac version years ago (and now restored in the latest release), as well as two-page spread layouts, a useful element for book and booklet design. You can create and modify master pages used as templates for an entire document, and style sheets for paragraphs and characters can now be edited and created directly in the iOS version—previously, you had to manage those only in Pages for macOS. And you can switch pages from landscape to portrait and vice versa—yes, that was missing before. Pages for iOS now supports side-by-side page views as well as designed two-page spreads. While not every document you create in Pages needs book-like properties, the fact that everything is present gives you the flexibility to create any kind of document in one place, as well as edit any Pages-for-macOS-created document. I tested Pages for iOS with an iPad Pro using a keyboard cover, and it felt by far much more like a first-class citizen and full-fledged app than any previous version. That said, I’m not sure iOS is an ideal place to create and edit anything more than basic layouts, because the touch-based interface makes it very easy to move elements around by accident and hard to position them precisely, even with the many kinds of snap-to guides Pages offers. I found myself constantly tapping the undo button. It may be heresy, but a mouse is an easier way to position objects than your finger. A Ruler option in Pages for iOS doesn’t actually display rulers in my testing, nor can you set columns or guides on a document’s master pages. In the Mac version, rulers display as expected and you can drag page guides out of them to aid with positioning elements. 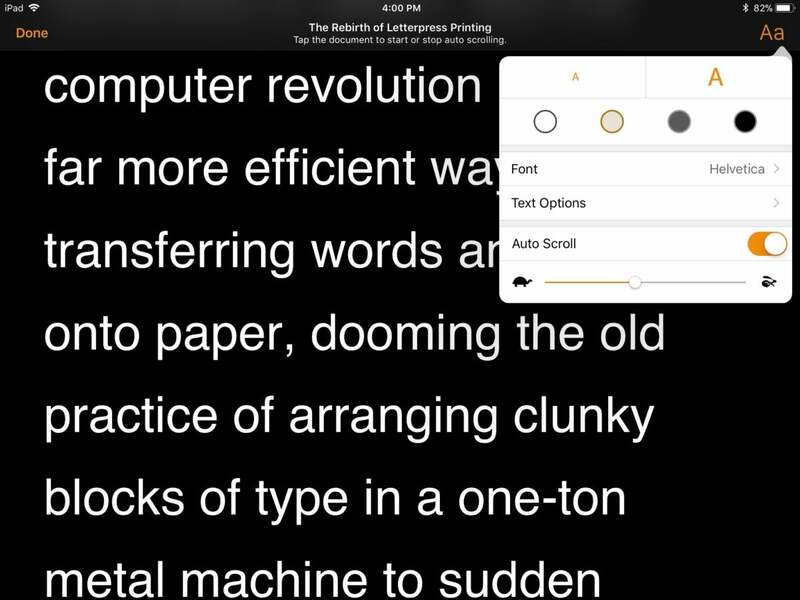 This may be an iOS bug or intended future improvement, and if available would improve the touch-based approach when making books and other layouts. A new master page mode allows creating unique page templates within a document with recurring items and page formatting. Apple played up the new option to add drawings to a Pages document, whether via an Apple Pencil or with a finger. It’s definitely a benefit to add sketches and drawings to a Pages document directly, whether you’re a stick-figure constructor or have illustration skills. But Apple peculiarly relies on a subset of standard markup toolkit, which feels inadequate relative to even some of the simpler standalone drawing apps. It’s not that Apple should have put a full sketching environment into Pages, but I’m not sure this is robust enough to let people add additional value into their documents. While you can’t use pressure sensitivity with the Pencil, you can get good results from the restricted set of tools with some effort. The company also opted to not support pressure sensitivity with the Pencil, which feels like an odd choice. Instead, you have to double-tap a drawing tool to select thickness. This seems to disable one of the Pencil and iPad Pro’s combined flagship features without offering a benefit. Smart Annotations are listed as in beta, and likewise rely on drawing, although here it’s an overlay on your document, where any graphical items you add by Pencil or finger stay fixed to the point you marked and move with them. They also sync perfectly to Pages for macOS, although you can’t create new Smart Annotations there (at least not yet). And similarly strangely, using the Pencil with Smart Annotations does allow a modest degree of pressure response—not nearly as much as in a drawing program, but it’s present. The Pages update includes a handful of miscellaneous additions, too. Anyone who has used their iPhone or iPad to offer up the text for a verbatim speech they’re delivering, or notes they need to consult while speaking, will appreciate a new Presenter Mode. It turns Pages into a scrolling, high-contrast text-only display that you can set to move automatically from slow to fast and tap to pause and resume. Presenter Mode in Pages offers a manually or automatically advancing prompter. You can enable an Autocorrect option and type fractions that have special drawn versions in the typeface you’re using, and Pages automatically converts them. If you use charts and graphs in Pages, you can excitingly make use of donut charts, while tables have gained conditional highlighting based on values. And Box document-sharing users don’t have to rely on iCloud for collaboration, but can work through Pages documents stored on that service as well. Finally, Apple stuck in hundreds of shapes, from microscopes to dinosaurs, all of which are editable. Some features could use more explanation than that found in release notes and the functional-but-thin help files for Pages. For example, a new image gallery option makes little sense for page layout or word processing, and the how-to instructions give no insight on how you might use it. In fact, it’s an interactive feature that only works in Pages and when exported to EPUB. And I found one consistent showstopper: whenever I attempted to use the All Photos album to add media, Pages froze and eventually crashed. I use iCloud Photo Library and have over 37,000 pieces of media in it. Whatever the quantity, this kind of flaw shouldn’t happen with released software from Apple. Worse, intermediate changes made several steps before the crash are lost, instead of autosaved locally or to iCloud.